Want to turn your Windows 10 into a powerful FTP Server? 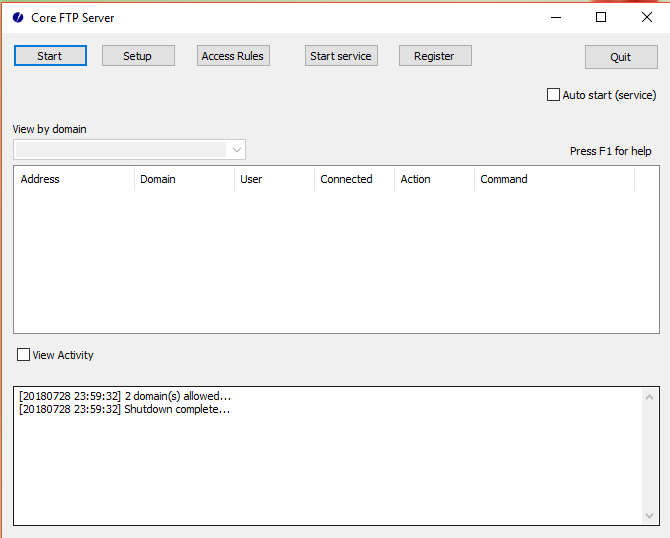 Try Core FTP Server full version, a simple but powerful software that will turn your Windows into a powerful FTP Server. Core FTP Server features a simple installation and configuration, eliminate the complexity of a traditional FTP Server. If the Cerberus FTP Server full version is too expensive, you may want to switch to this low-cost FTP Server. First, download the installation file and save it to your local directory. You will have a file called: CoreFTPServer64.exe for 64-bit edition. Click Start to start the server immediately. Click Setup to configure some basic settings. We need to setup and configure the FTP Server before we can use it. The following window is the main window for Core FTP Server. Click Setup to open the settings page. We need to create a new domain and add new users to the server. Click New on the Domain section to create a new domain. Here, you need to enter the domain name, domain IP address, and some other options. It is important to create a self-signed certificate if you don’t have a valid Certificate. 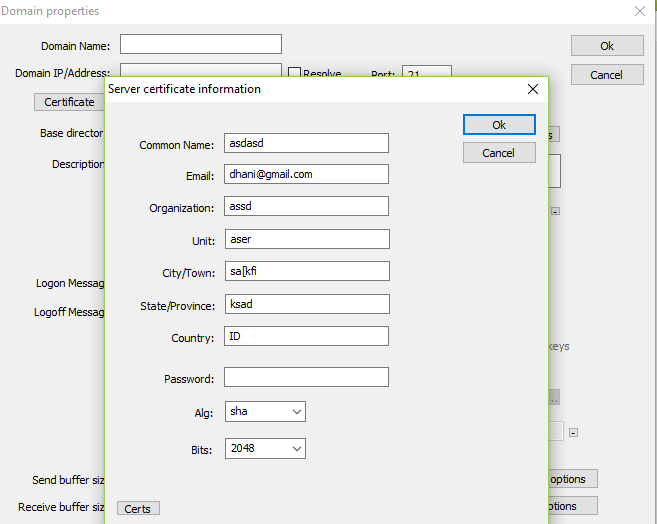 After you enter the domain name and IP address, click the Self-signed certificate to create our own certificate. The following is just a sample. Please enter the certificate information correctly. Next, create a new user. On the General tab, enter the detail for the new user. You need to provide the home directory for the new user and some other settings. Hit OK and restart the server by pressing Stop and Start button. 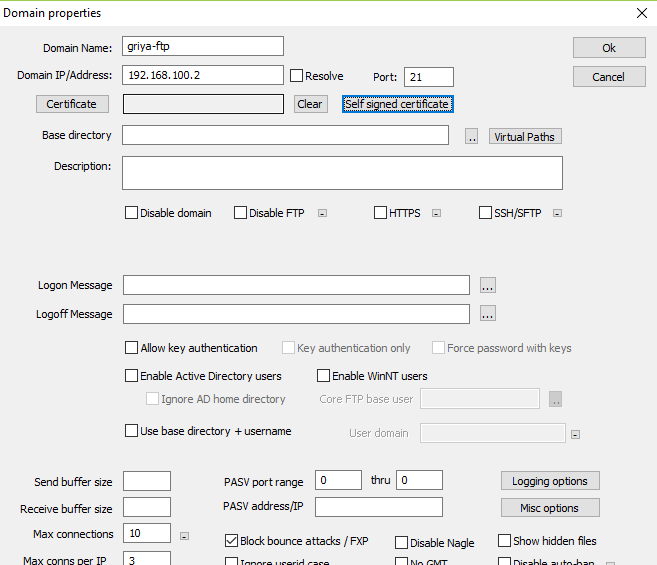 You can connect to the Core FTP Server using any FTP client you have. Enter the host (server IP address), user name and password. Hit Quickconnect to start the connection. 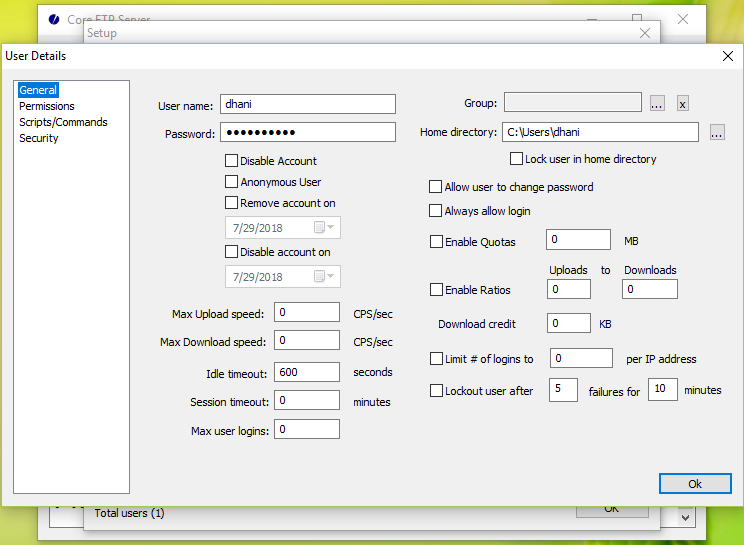 Filezilla is a free FTP client that is highly recommended. You can get the Filezilla for your systems here. It is available for almost any operating systems. Download Core FTP Client and install it (Windows only). 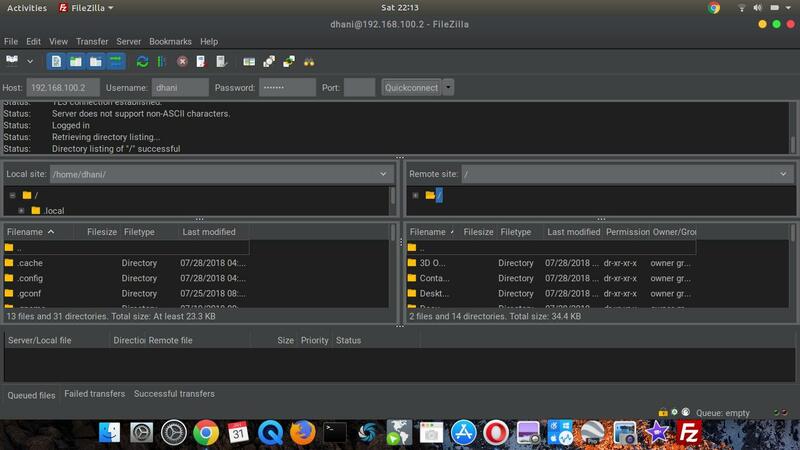 Go to File | Connect. Enter the server details here. Hit Connect to start the connection.